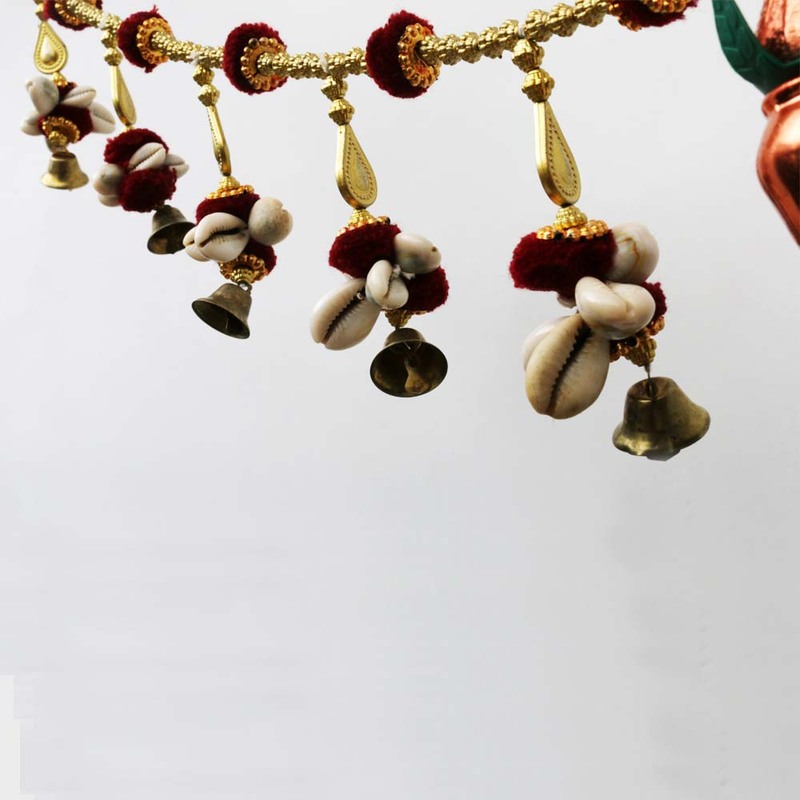 This particular bandhanwar has a very sleek design with the main hanging thread being quite thin. 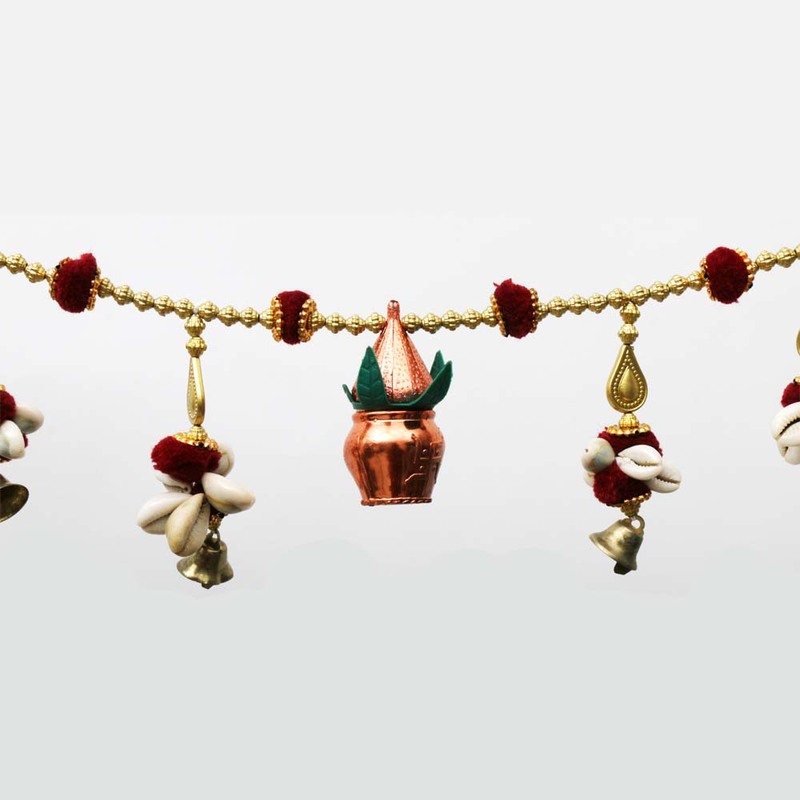 There are periodic placements of knots and the decorative Read More..hangings. Hanging it on any window, wall or door of your choice will make their overall appearance a lot better. Show Less..